Many collectors consider the red books as just fancy books-of-the-month editions, therefore virtually worthless. There are, however, some collectors who are interested in them. I would suggest that you advertise these as widely as possible in as many places as possible, including the Stephen King Message Board, thedarktower.org, some of the forums on Facebook, etc. You want to hit as many possible buyers as you can. 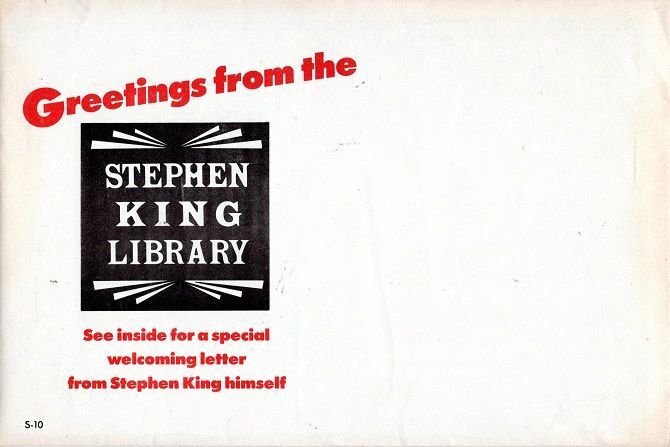 The Red Book Collection started off with a letter from Mr King welcoming you to the library in 1989.